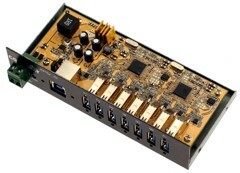 The USBG-7DU2 7-Port USB 2.0 Hub with Din-Rail Mounting kit is very convenient for light power consumption USB devices. 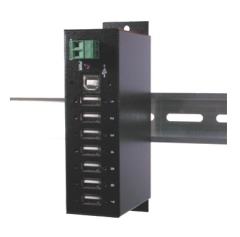 This product provides a unique feature to work in the bus-powered mode without an external AC power adapter. If you need more power on the 7 downstream ports, it also features an external 2-pin Terminal Block Connector for self-powered mode.